THE runners and riders are warming up for the grand ICA race night taking place at Greenacre Downs on Saturday, October 19. ‘A Night at the Cuddies’ is being ably organised by top trainers Carolyn Hibberd and Gordon McIntyre – a potent combination who have a great track record at this course. 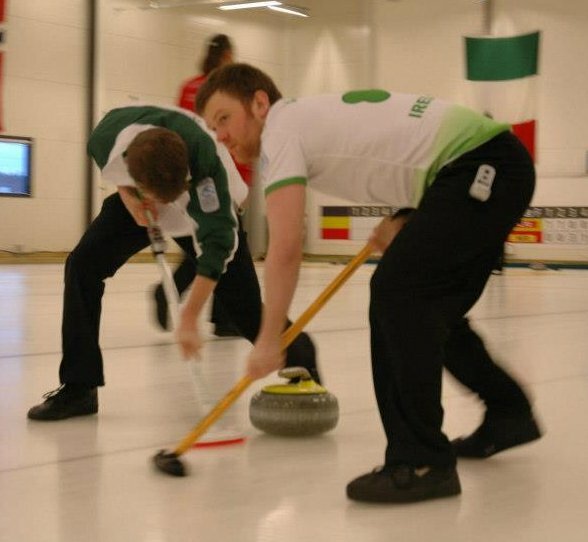 Money is the name of the game for the punters on the night, so bring plenty of the green stuff to ensure that firstly, you all have a good time and secondly, the ICA’s development plans for young curlers gets a welcome cash injection. There will be fun bonspiel on the ice, starting at 5.30pm, followed by a meal at 7.30pm, then the race night. Cost for all three will be £20 but if you just want to come for the dinner and the racing it’s only £10. Most of you will have already completed your sponsor sheet of owners names and horses (!! ), but if you haven’t there is still plenty of time! Each horse only costs a fiver and the winner of each race will receive a very, very valuable prize. If you would like to sponsor a race as well and get to beam with pride when you see your company’s name of the race card it will only cost you £20. But the main thing is for members and friends to a have a fun and sociable evening, while raising money for a worthwhile cause, at the start of the ICA’s 20th curling season.